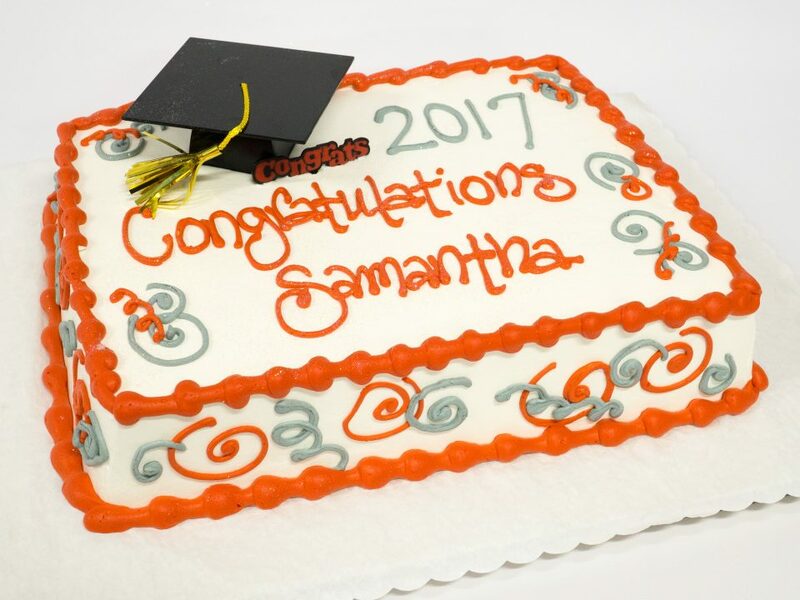 This cake includes a grad cap and pick that is an additional charge. Send us a message and reference this photo's ID#14971. Call us to discuss your cake and reference this photo's ID#14971.